TJHC Speech - Where to from here? All Catholics need to take responsibility for how the Church responds to victims of child sexual abuse. National Child Abuse Compensation scheme – with no caps - should be considered. Catholic Church releases child sexual abuse reform proposals. 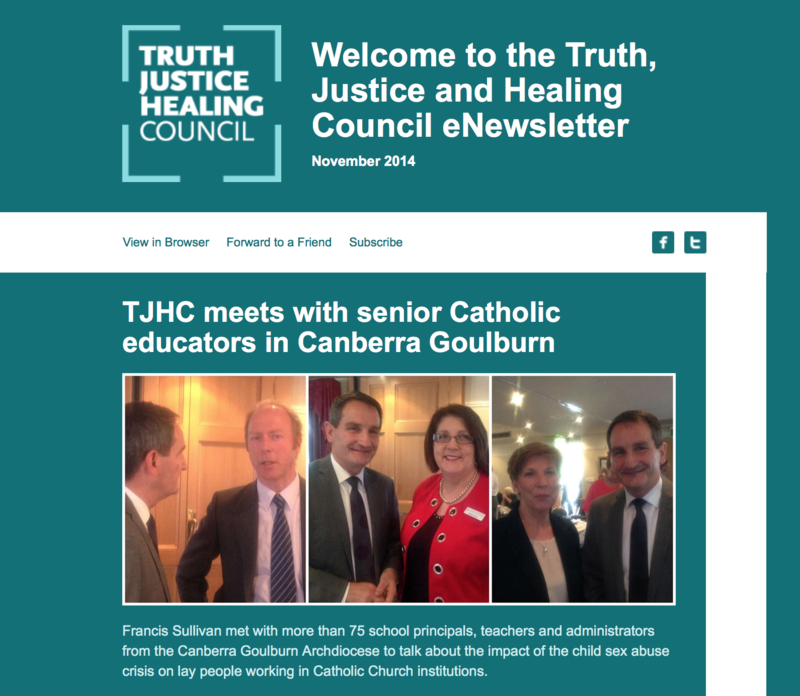 Truth Justice and Healing Council preparing submission to Royal Commission on child safe institutions.